Explore a collection of seven online resources for teachers and parents who are interested in teaching film literacy. With the abundance of media messages in our society, it's important to ensure students are media literate. The Oscars provide a great opportunity to use the year's best films to teach students about media and film literacy. Not to mention, films can also be an engaging teaching tool for piquing interest in a variety of subjects and issues. In this compilation, you'll find classroom resources from around the web that cover many of this year's nominated films, as well as general resources for using film as a teaching tool. First, we'll start with an Edutopia classic, acclaimed director Martin Scorsese discussing the importance of visual literacy and the power of film as a teaching tool. Oscar-Nominated Flicks for Families: Common Sense Media produced a list of great reviews for this year's Oscar-nominated films. Each review features an age-appropriate rating, as well as an overview of subjects covered in the movie and possible discussion questions families and educators can use following each film. Journeys in Film Global Education Lesson Plans: The focus of these lesson plans is teaching global education through film. The site features lesson plans for covering recent U.S. and international films in the classroom, as well as tips for teaching with film and a middle school global education series. Ideas for Using Film in the Classroom: The Learning Network's "Film in the Classroom" page from The New York Times features tips, activities, and Times content for teaching students about motion picture-related topics. Also, be sure to check out Teaching History With Film, Ten Ways to Teach the Oscars, and the Visual Literacy landing page for even more useful ideas for incorporating film into your lesson plans. Learning About Media Literacy From the Oscars: Media-literacy expert Frank W. Baker wrote this article for MiddleWeb, offering teachers practical ideas for teaching visual literacy. If you like this, you should also check out Learning More About the Movies, another MiddleWeb favorite. 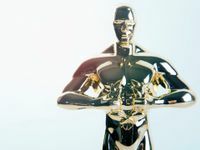 Plus, Baker also hosts a Teacher's Guide to the Academy Awards on his personal website, which features links to other useful resources, ideas for teachable Oscar moments, and links to some great film-related lesson plans.